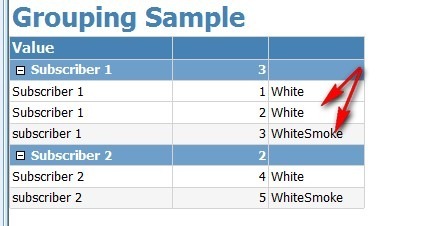 First row is the text field which I am grouping on, the second filed is the ID from the source dataset and the third row is the color, that the row must be. As it turned out (and as I mentioned before), when Reporting Services are grouping text fields, it does not matter what the letter case is. 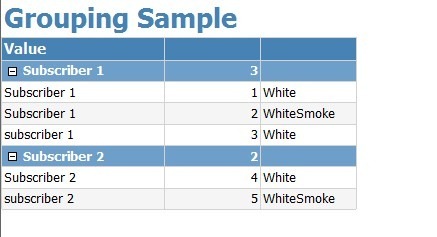 I could not find any reference in MSDN on the algorithm of grouping so it is kind of a mystery to be revealed. So if you ever need to apply alternating colors, have in mind that you can do it over group details just as easy as doing it on the whole dataset!